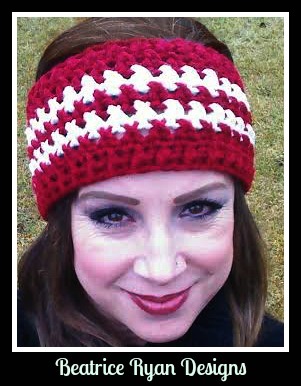 To celebrate my 1 Year Blogversary… And a Big Thank You for all of your support… I have designed this cozy Free Crochet Headband Pattern! Click Here to add this fun pattern to your Ravelry queue and favorites!! With Color A, Ch 68~ Join with Sl St to beginning. Be very careful not to twist the chain while joining. Row 3: Ch 3(Counts as Dc), Dc in previous St (This will form an “X” and is a Twisted Stitch), Skip next Stitch, *Dc in next Stitch, Dc in previous stitch(Skipped Stitch), Skip St*, Repeat * * Around making “Twisted Stitches”, Join with Sl St to Beginning Ch 3. Finish Off. = 34 Twisted Stitches. Row 4: Change to Color B and Join with Slip Stitch to Same as Last Joining St(Ch 3 of previous row),Your Twisted stitches now will not line up with previous row. See Picture below. Ch 3, Dc in previous stitch (Twisted Stitch made), Skip St, *Dc in next stitch, Dc in previous stitch(Skipped Stitch), Sk St.* Repeat * * Around, Join with Sl St to beginning Ch 3. Finish off. = 34 Twisted Stitches. Row 9: Ch 2, *Fphdc in next stitch, Bphdc in next stitch*, Repeat * * Around, Join with Sl St to beginning Ch 2, Finish off and weave in ends. Weekend WIP’s and Free Crochet Pattern Review!!! What’s on your hook?? Let’s Chat…. Saturday night and time to crochet!!!! Last night I started a whirlwind of crocheting… I have a charity donation coming up to send off some hats to… So I thought it was time to get “Hookin“!! I looked over some of the Free Crochet Patterns I hosted over on my Facebook daily segment “Would you wear it, Would you make it?? 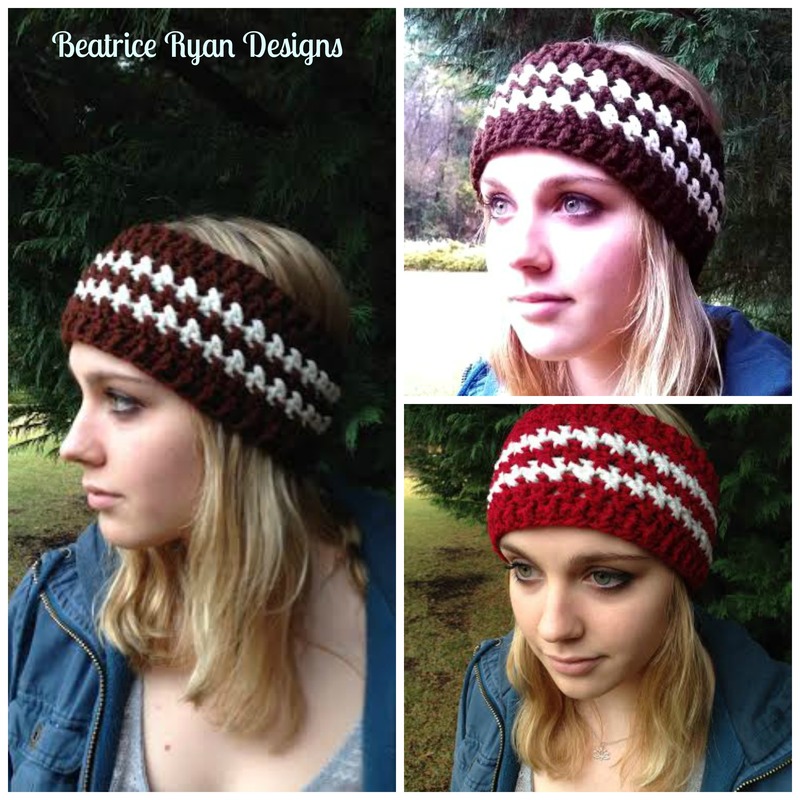 Tell me what you think…” I found 3 patterns that I really wanted to try!!! I made 4 great hats in the last 24 hours… 3 of them from that segment!!! 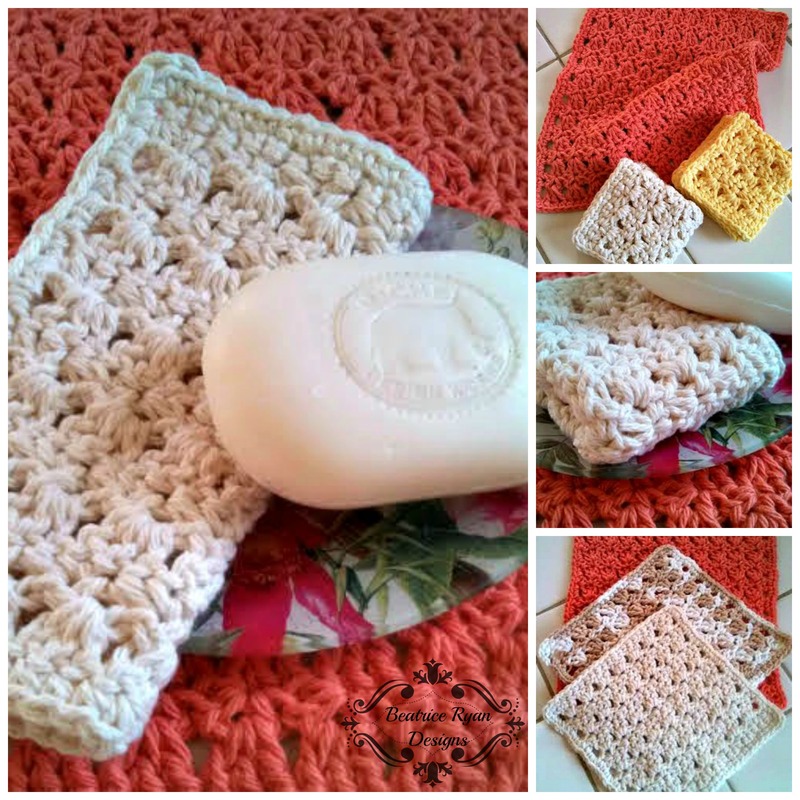 So here we go… A Saturday Night Free Crochet Pattern Review!! The second hat was the most interesting to make… It is the Mariposas Beanie by “e” Lee over at the Crochet Lounge… This was a fun Bright Purple Hat! The reason I say “The most interesting to make” was due to the stitches and the crochet terminology she used… She goes out of her way to have a full description of every stitch used and explains it perfectly! She uses the standing DC, Foundation SC, Chainless Start DC and much more! If you havent used these stitches before… This pattern was well written with tutorials on these stitches and it will boost your skills to the next level!! To get this Free Crochet Pattern Click Here! The third hat is the hat that falls into “My Style”… This definitely is a hat I would wear and I think I may be making another one to keep! The pattern is written in Italian… But also has a graph and English directions! I am not clear if they wrote this pattern or translated it from another site… The pattern is made of basic stitches and was very easy for an intermediate crocheter! The only problem I ran into was… They left out the directions for rows 11-14… It was simple for me to figure out by looking at the hat that we were just going to repeat the 9 & 10 two more times and then continue to the directions for rows 15-20… The nice thing about this hat was… It turned out exactly like the picture and I love it!! If you want to make this hat don’t shy away because of the multi language directions… The English version is typed in red and easy to see… and if you remember to repeat rows 9 & 10 for the missing directions you will have no problem if you are a beginner! Click Here for the Free Crochet Pattern! The fourth and final hat was not from a pattern… I had some cool yarn I wanted to make a simple beanie with.. I added a Twisted Stitch row around the center… It was easy and fun to make and my daughter loved this yarn and wants me to make her something out of it! !